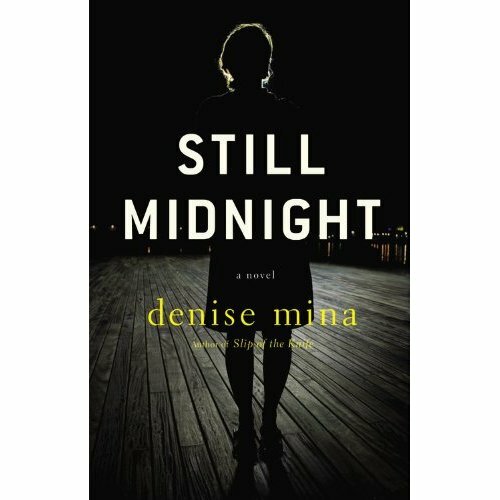 I finished Denise Mina's newest crime novel, Still Midnight, a few days ago and don't quite know what I think of it (I'd love to hear other opinions). Her heroine here is a police sergeant in Glasgow, a woman in her 30s with some family difficulties and life experience. But especially in the early chapters, she seems insecure, floundering amid the male-dominated police force and more concerned with rivalries than focusing on the job. Later, her character solidifies a bit, but she seems very much in the mold of the Paddy Meehan character in Mina's previous series rather than someone with the career of a police sergeant already established personally and professionally. However, as a police procedural Still Midnight is interesting and unusual (in who gets killed, among other things), and Mina's handling of a family of Muslims at the center of a kidnapping is very nuanced and effective. Each member of the family emerges as an individual, with his or her own relationship to the family, the faith, and their country (most were born in Scotland, after a complicated family trajectory leading from Pakistan to Uganda to Glasgow). The ending (I promise I'm not giving anything away) has something of a fairy-tale quality, something like the end of the 1993 Tony Scott film True Romance (written by Quentin Tarrantino--a noir (and violent, though not on the level of Reservoir Dogs) classic, something to look for if you aren't familiar with it, and with a distinctive conclusion). 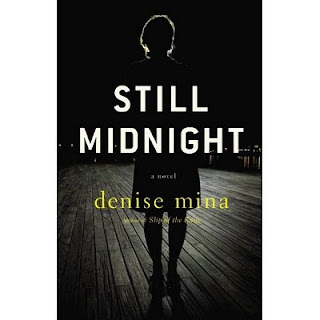 I'm left with an ambivalent feeling about Still Midnight--I enjoyed it, but with some reservations about the central character's oddly immature character. Thoughts, anyone? It isn't anything like as good as the translated fiction I've been reading recently, but not too bad either. I wasn't thrilled by it and felt it was nowhere near as good as her debut Garnethill trilogy. I could not read the Paddy books - too much aimed at a young adult/teenage market - or at least the first one, the one I read. 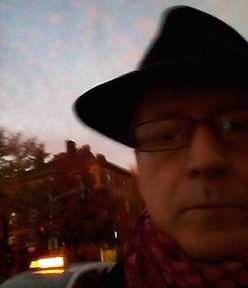 Still Midnight - despite the implausibilities, by far the best aspect for me was the character of Alex. I really found the villains boring. Some of the observations are very good, eg the "victim" family. The plot had various weak points but it speeded up sufficiently at the end for me to forgive those. In short- has potential but I am not desperately eager to read more. The book has some very positive reviews in the media (links in my post) but possibly more to do with the author (who is great personally) than the book! There's a generosity in the way Mina treats the inept and violent but realistically rather dim villains that reminds me of Elmore Leonard, who seems to love all of his characters, even the deeply lame ones. The ending so surprised me, it took a while to figure out that I liked it. It was a twist I would never have seen coming or predicted, and it threw me. But I think it challenged my own biases enough to have been in the end very effective indeed. I was uncomfortable with the "sweet" ending, as well as with the way Alex Morrow softened; I think of Mina as an expert in the darkest of noir, and there didn't seem to be enough consequences to Alex in this one -- although I agree that the plot and the Muslim family were highly nuanced. SOLICITING A SPOILER PLEASE - I really enjoyed the book, but correct me if I'm wrong: did we ever find out what became of Amir? It seems the last heard he was picked up by a kind fisherman. Did I skip something?